President William C. Dudley addressed the Class of 2018 at the commencement exercises on the Front Lawn. Gray Rixey '18 spent part of his summer interning for a member of the British Parliament as part of the London Internship Program. He had no idea it would happen during one of the most tumultuous periods in British history. Lee Sommerfeldt '18 found a home away from home in a honky-tonk in the heart of Tokyo. 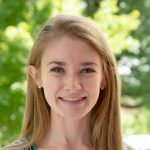 Harleigh Bean ’18 studied in Paris, spent a summer at one of Middlebury's competitive language schools and attended the Public Policy and International Affairs Junior Summer Institute at Princeton University. 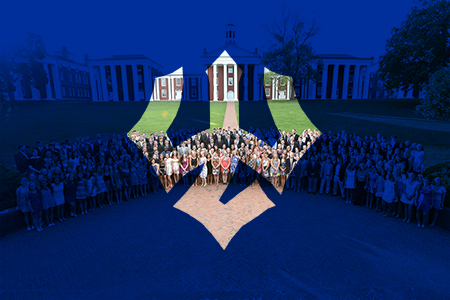 On May 24, 2018, 441 members of the Class of 2018 will recieve their degrees. Six members of the class graduated after Fall Term. Members of the Class of 2018 will graduate with an average cumulative GPA of 3.528, far surpassing the previous record of 3.444, set in 2015. Mallory Stephenson of Fincastle, VA, graduates with a 4.00 grade point average. 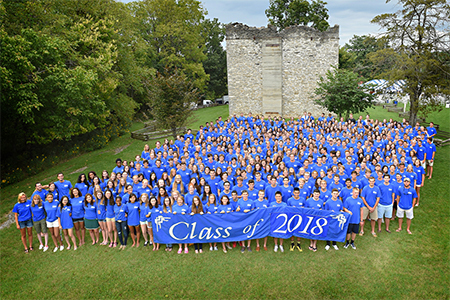 22 members of the Class of 2018 will receive both a B.A. and a B.S. degree, equaling the record set in 2015. Degrees awarded to the Class of 2018 represent 38 majors from across campus, with 34 percent of graduates completing two majors. Two graduates completed three majors! Graduates of the Class of 2018 represent 18 countries around the world, with five from the U.K. and three from Argentina. Graduates of the Class of 2018 represent 34 states, with VA, MD, NJ, NC, TX, CA, NY and PA claiming the most graduates. 36 percent of the graduating class participated on a varsity team.